On an individual's death, a new taxpayer is created. The estate trustee is responsible for tax on income earned by the individual up to the date of death. All too often, an estate trustee will begin administering the deceased's assets, only to realize that the deceased had failed to properly file and pay taxes during the later years of his or her life. It has been said that nothing is certain in this world except death and taxes. This episode of Hull & Hull TV deals with both. When a person passes away, his or her obligations to pay tax live on. The estate trustee becomes responsible for making sure that the deceased's taxes are paid. This responsibility must be taken very seriously. The Income Tax Act imposes personal liability on estate trustees for any unpaid tax liabilities of the deceased. 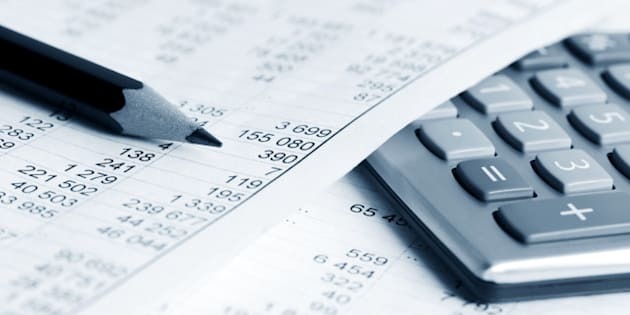 This ensures that it is the best interests of estate trustees to do whatever they can to ascertain that the deceased's debts to the Canada Revenue Agency (the "CRA") are settled. On an individual's death, a new taxpayer is created. The estate trustee is responsible for tax on income earned by the individual up to the date of death. The estate trustee is also responsible for the tax owing on income earned by that individual's estate -- a separate entity for tax purposes. The deadline for the filing of the deceased individual's final (terminal) tax return depends on when he or she died. If the person died before November 1, then his or her taxes are due on April 30 of the following year. If the person died in November or December, then taxes are due six months after the date of death. The taxation year for an estate is not necessarily the same. Whatever the deadlines, estate trustees must be diligent in their efforts to meet them in order to avoid incurring interest and penalties. All too often, an estate trustee will begin administering the deceased's assets, only to realize that the deceased had failed to properly file and pay taxes during the later years of his or her life. Fortunately, the CRA has a Voluntary Disclosures Program, which allows taxpayers, dead or alive, to disclose errors, inaccurate or incomplete disclosure, or unreported sources of income that may affect their taxes. If done properly, a taxpayer may avoid some of the penalties which may otherwise be imposed. This process can be somewhat delicate, and professional tax advice is recommended. The Voluntary Disclosures Program provides an ideal way for estate trustees to clean up a tax mess that they may unexpectedly walk into, and to avoid liability for penalties or interest that would otherwise be incurred. Fear of an unexpected call or letter from the CRA may keep many an estate trustee awake at night. If the assets of an estate have already been distributed, and the tax collector comes knocking, the estate trustee may be personally liable for the shortfall. Fortunately, the CRA provides tax Clearance Certificates. The Clearance Certificate states that all of the deceased's taxes for the relevant period have been paid. For an estate trustee, this provides protection from personal liability. Although there is no obligation to obtain a Clearance Certificate, having one in hand before distributing the assets of the estate may prevent problems down the road and sleepless nights for estate trustees. One way to reduce the tax burden on an estate is through charitable donation. There are a number of ways to leave assets to charitable organizations. Any plan to do so should be a carefully thought out component of a comprehensive estate plan. The vehicles through which donations can be made include outright gifts of money or other assets, the creation of a trust, or the creation of a charitable trust. The most effective strategy may depend on the nature of the donor's assets and personal circumstances. Careful planning and professional advice may be advisable to make sure that the charitable beneficiary receives as much as possible and to reduce taxes. Income tax related to an estate can be a minefield for the unwary estate trustee. However, with good advice and careful action, an estate trustee can avoid being haunted by the ghost of the deceased, and by the CRA.